Pink sapphires are stunning gemstones that continue to increase in popularity. There are light pink sapphires, purplish pink sapphires, orangey pink sapphires and just about every shade in between. Color is the most important factor when it comes to a pink sapphire's beauty. While deeper hues tend to be more valuable, you should choose the shade that appeals to you the most. Then, design a pink sapphire engagement ring or opt for other pink sapphire jewellery. Because color is the most crucial feature, we recommend choosing a stone from a reputable jeweller that offers high quality photography. In some cases, it's difficult to distinguish a pink sapphire from a ruby. Only a gemologist will be able to make this distinction. In the United States, for instance, a minimum color saturation is necessary for a stone to be called a ruby. In other countries, the term ruby is used more loosely. Many cultures and people believe pink sapphires hold special power. They symbolize trust, loyalty and sincerity. They're also believed to carry good fortune and intense love. The leading producer of natural pink sapphires is Madagascar. Pink sapphires were considered incredibly rare prior to the 1990s when the Madagascar mines were discovered. The quality and quantity of pink sapphires from Madagascar make these gemstones more widely available and affordable. Pink sapphire mines are also present in Myanmar, Sri Lanka and East Africa. A pink sapphire's place of origin doesn't usually impact its price or value. 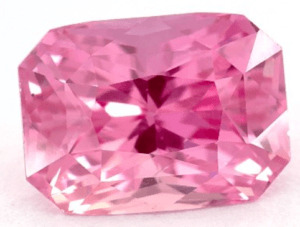 Pink sapphires, for example, are much less expensive than pink diamonds. The cost of pink sapphires varies significantly based on the color, carat and cut of the stone. For example, if a stone of 2.86 carat dark pink sapphire ring costs around $1,200, a lighter pink 2.0 carat stone could cost around $800. Buying a sapphire of any color is less technical than buying a diamond. Like other precious gemstones, the beauty of a pink sapphire is largely dependent on its color. You'll also want to consider the cut, clarity, carat and shape as you determine which pink sapphire to buy. 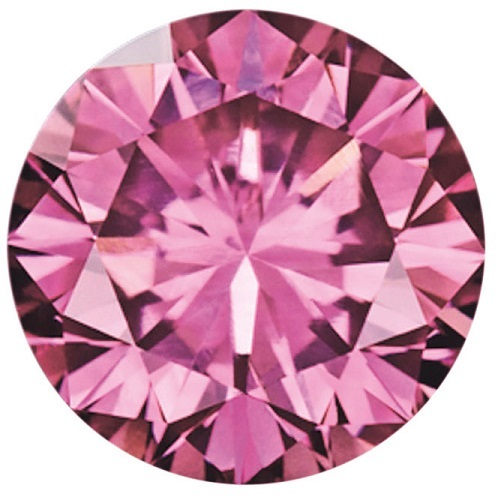 Pink sapphires range in color from pale pink to vivid magenta. The most prized pink sapphires carry a rich pink hue with purple overtones. While diamonds have an elaborate, standardized color grading scale, sapphires don't have a common system for evaluating color. This lack of uniformity makes it more difficult to compare two pink sapphires. Instead, it's best to use your own judgment about which pink sapphire appears most vibrant and beautiful to you, whether that's a brighter pink or a darker gemstone. In general, though, the richer the sapphire's color, the higher the price tag will be. It's important to know that many pink sapphires undergo heat treatment to soften their purple overtones. Entirely natural, untreated pink sapphires are quite rare. A certificate will come with these natural stones to prove it. So unlike other colored sapphires, like blue ones, heat treat pink sapphires are more acceptable. Clarity grading is a more general process for sapphires than with diamonds and it doesn't have as much impact on the stone's value, either. Gemologists use 10x magnification to inspect a diamond's inclusions. Colored gemstones, on the other hand, are reviewed with a careful non magnified examination. Most importantly, we look to see if the gemstone is "eye-clean" to the naked eye. The cleaner the stone, the higher the price tag. It's highly unlikely to find a pink sapphire without any blemishes or inclusions, though. If there are no imperfections in the stone, gemologists suspect the sapphire was treated or is fake. As we explain in our ruby guide, all sapphires have rutile needles or "silk." Note: Most pink sapphires on the market today are heat treated to improve their clarity and color. If they aren't treated at all, they can be sold for large prices. Cut is a critical component of any diamond or gemstone's beauty. With pink sapphires, however, there aren't standardized cut options like there are with diamonds. You can choose an "ideal" cut to showcase a diamond's color and fire. However, with sapphires and most colored gemstones we rely on the gem cutter to maximize the individual sapphire's unique combination of clarity, color and brilliance. In general, well cut sapphires are symmetrical and reflect light at the proper angles to enhance the stone's luster. Usually, gem cutters opt for a deeper cut if the pink sapphire carries a light tone. The deep cut makes the stone appear to have a richer, darker color. The opposite is also true: if the sapphire is very dark, the gem cutter may choose a shallow cut to bring more light in and soften the overall look of the stone. You can find a stunning pink sapphire at a smaller carat weight. You can also find incredible pink sapphires at larger weights. Because color is such a critical factor in a pink sapphire's beauty, if you want to purchase your gemstone online from a jeweller, make sure they offer high quality photos online. Before purchasing, you need to evaluate the stone's hue, tone and saturation. You also want to ensure you're buying from a reputable jeweller.